The Oroton Escape Medium Tote is classic, compact and versatile. 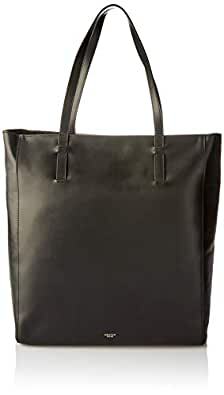 The sleek Black Vegetable Tanned leather outer opens via a zip top to an unlined interior with hanging slip pocket. The tote features a pair of shoulder straps, Brass hardware and a foil embossed logo. The leather is naturally tanned, and will darken over time, creating a unique piece. Discover a lifestyle fashion brand defined by its relaxed, modern Australian approach to luxury, since 1938. This year Oroton celebrates 80 years as Australia’s most iconic accessories brand, building upon its reputation for luxurious, yet accessible products. Oroton’s collection features designer totes, hobos, clutches, hand bags and wallets in supple leather and clean lines. Practical and luxurious accessories for the modern Australian woman. Oroton’s women's clutch bags feature supple leather and clean lines. Practical and luxurious accessories for the modern Australian woman. Only the finest details will do. Oroton’s stylish beauty cases are designed help you travel in style with a modern twist. Oroton’s wallets feature classic fold and zip designs with sturdy construction and gorgeous hardware. Stay chic and organised as you conquer your day. View our current range of luxury leather women's wallets.